Chris McConnell : Live in Melbourne, and was an engineering pattern maker / auto model maker for about 30 years. 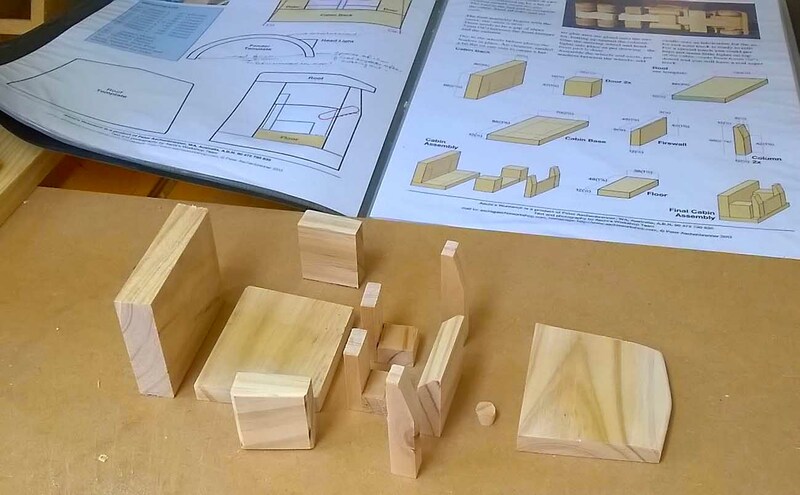 Currently in fifth year of teaching design tech (wood work) at secondary college. 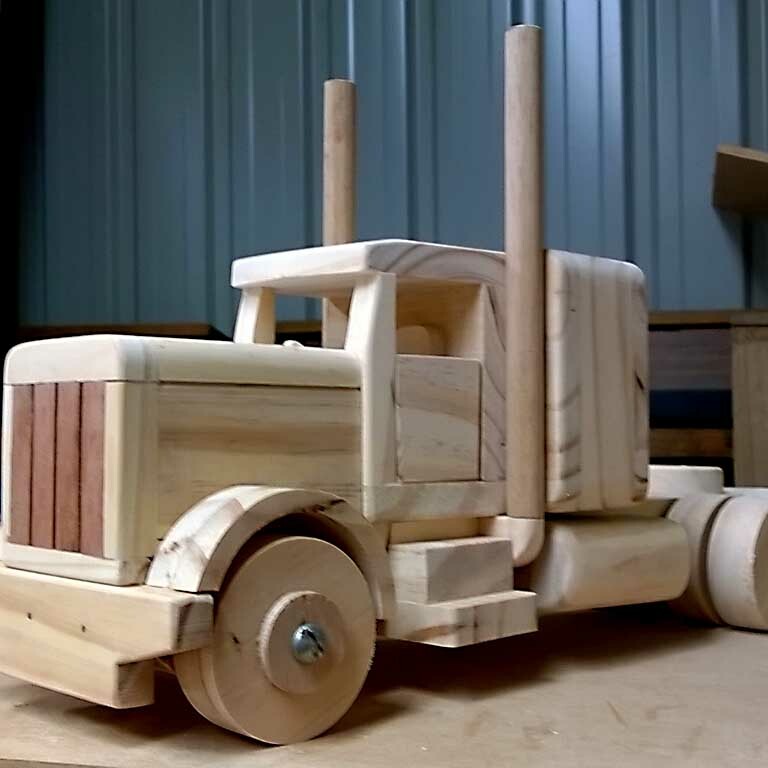 The high rise sleeper cab truck took quite a while to make, as it was my first build and required reading over the instructions a referring to them constantly. The slim line truck was put together in a couple of weekends, and I enjoyed it a lot more as I knew what I was doing. I have been taking more interest in trucks on the highways, and modelled the air intake from my observations. Most of the cross cut sawing of was done with a Japanese saw, which proved fast and accurate finishing with a block and fine sandpaper. I have included a few photos including one of the cab assemblies. 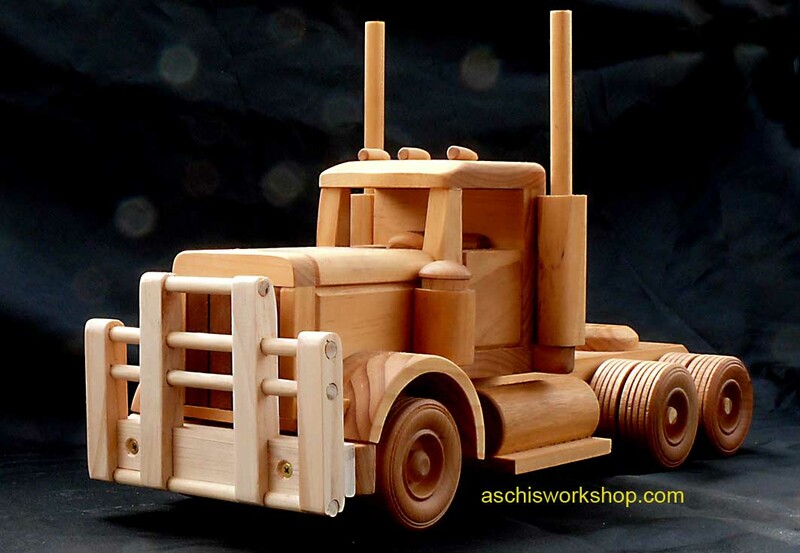 Chris Made the trucks from Aschi's Workshop Plan #209. Chris McConnell shows in the picture serie below how easy it is to work step by step to Aschi's Workshop Plans. Plan #209 is for building 3 different Road Tractors in Scale 1/20. A big range of Semi-trailers can be hooked up to this models. Aschi's Workshop has it ! Just some pictures from Aschi's Workshop Models built from Plan #209. For the Australians is it a 'must' to have a Bullbar. Aschi has a FREE PLAN for.